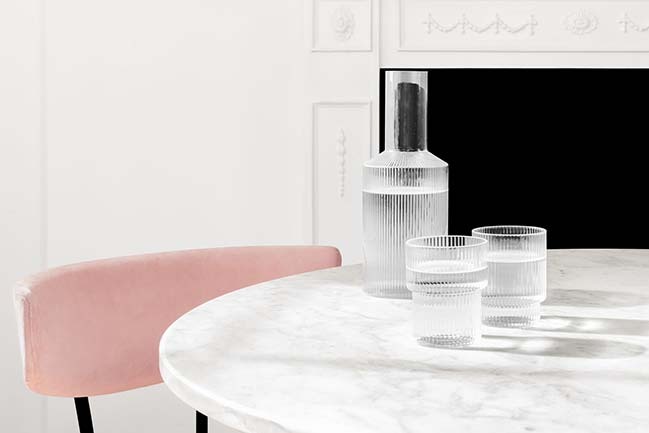 Sunlight is transformative. 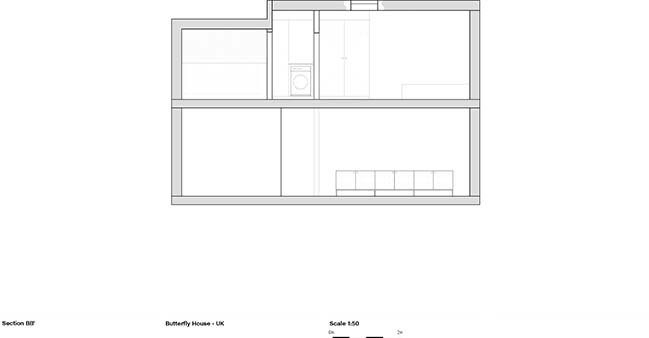 It has the ability to change the experience of a space, as well as how we live, feel and relate to one another. 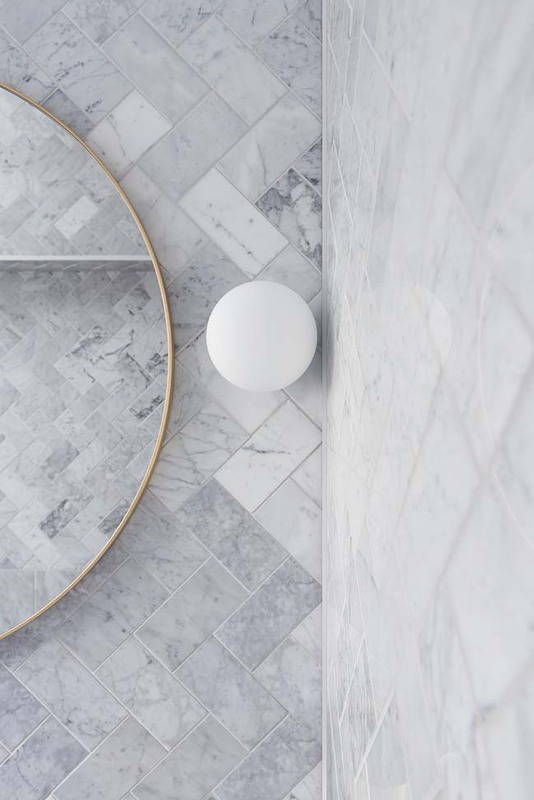 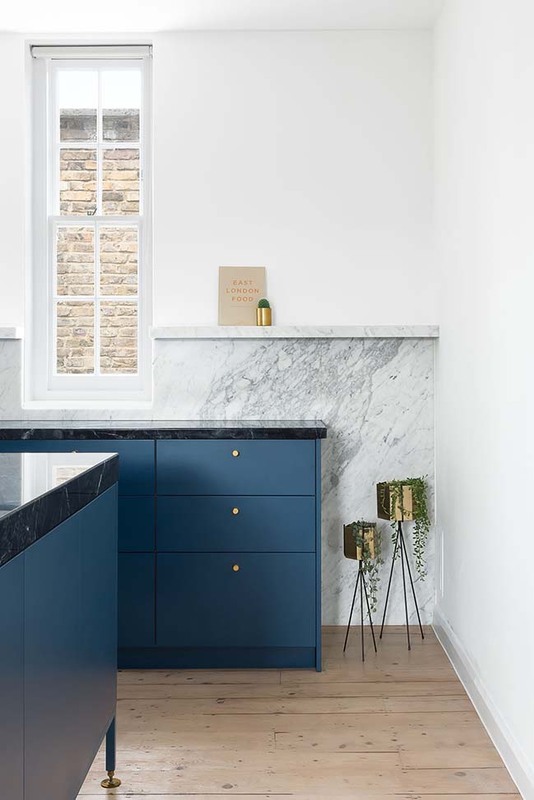 The Melbourne based design studio Biasol brought the Australian affinity for natural light and open-plan living to a typically dark East London townhouse while retaining its classic English details and sentiment. 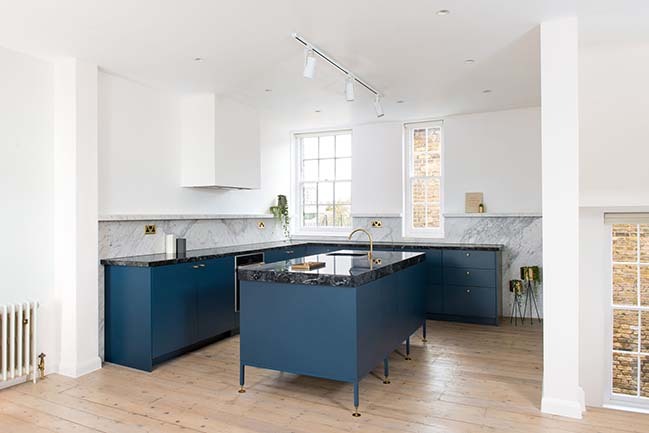 From the architect: The 90-square-metre home is located on a prominent block in East London, a post-industrial area that has been transformed by vibrant creative and innovative communities and boutique stores and galleries. 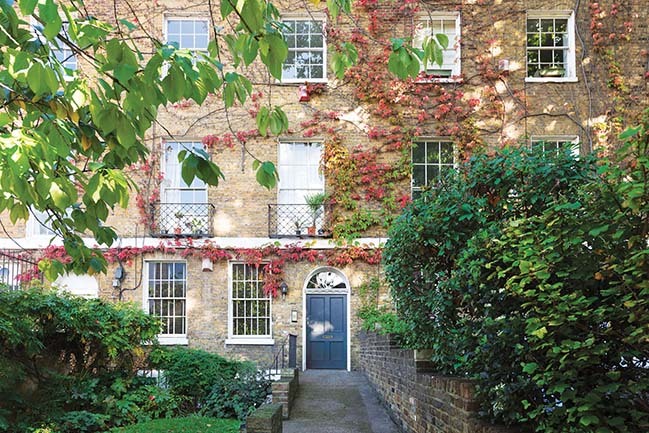 Like many traditional English townhouses, it was dark and cramped due to small, constrained rooms and adjoining neighbours. 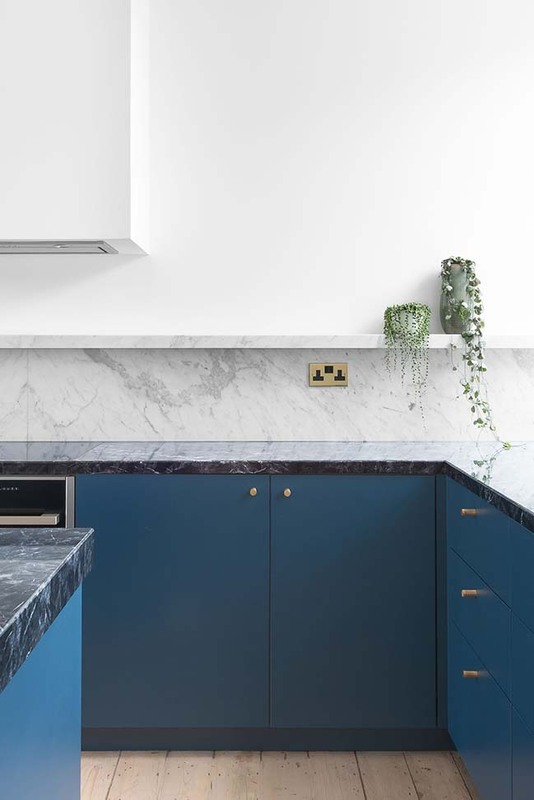 The client tasked Biasol with breathing new life into the dated building to create a contemporary home for a young, modern couple and their future family. 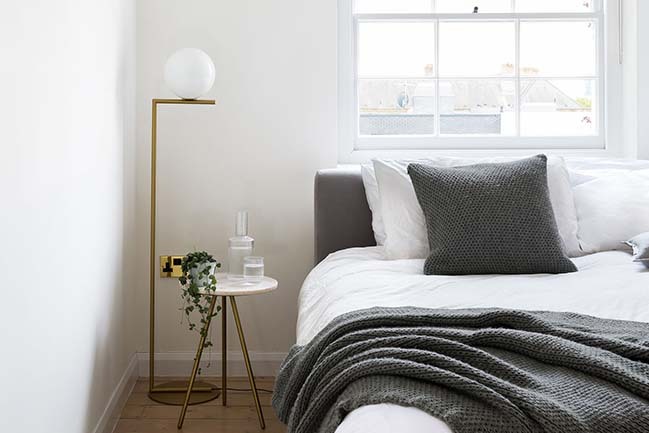 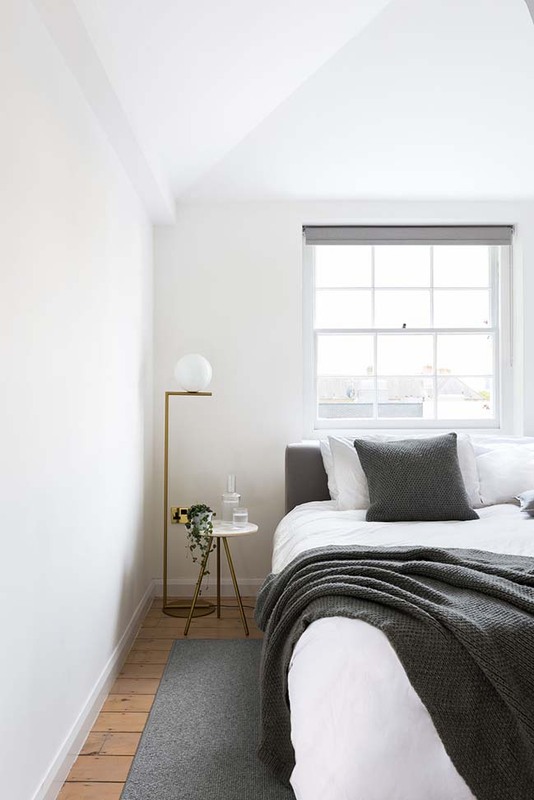 Now transformed, the townhouse has open-plan living, dining and kitchen on the first floor, and two bedrooms and bathrooms on the second floor. 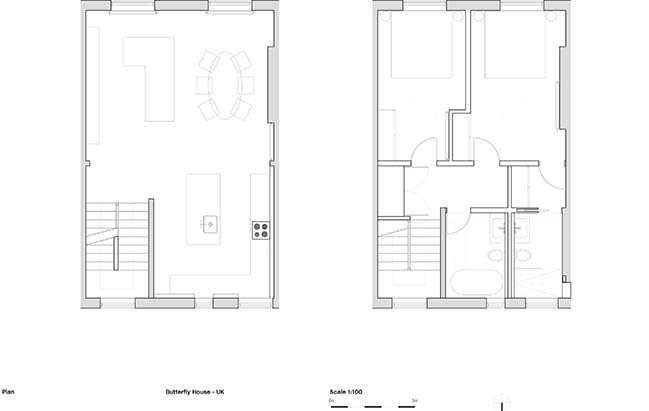 We removed the walls on the first floor allowing for an open and light-filled living, dining and kitchen area. 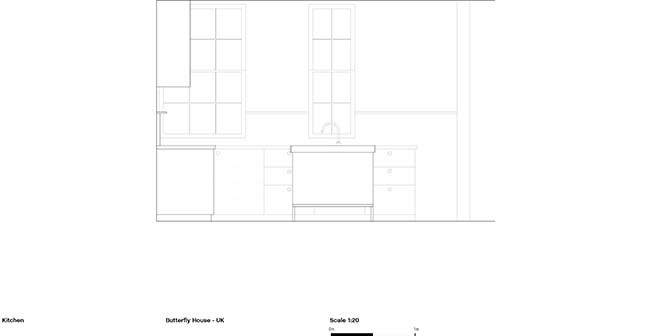 Drawing on our product design background, we custom designed the freestanding modular kitchen units to make the room feel like an extension of the living and dining area. 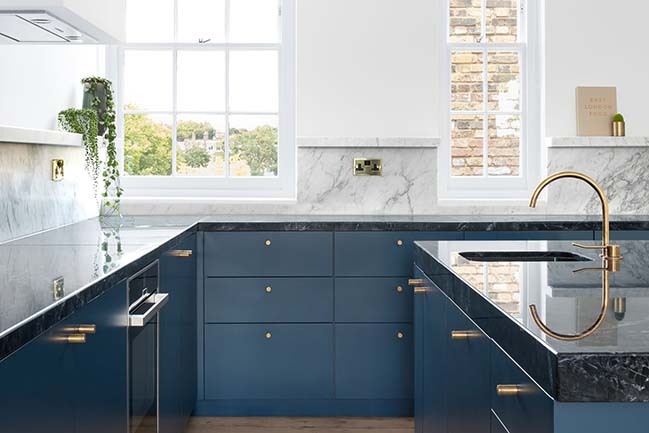 The low-line joinery creates a greater sense of space; removal of upper cabinetry allows for unobstructed sight lines; and integrated appliances give a smart look and feel. 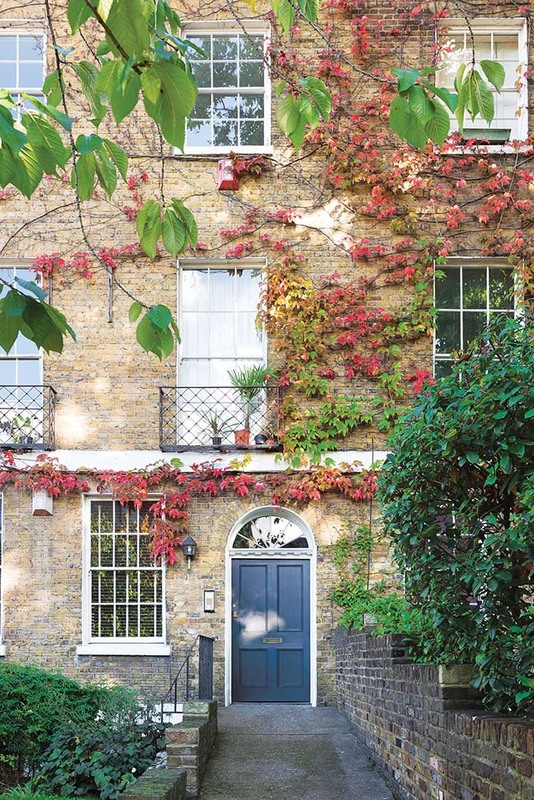 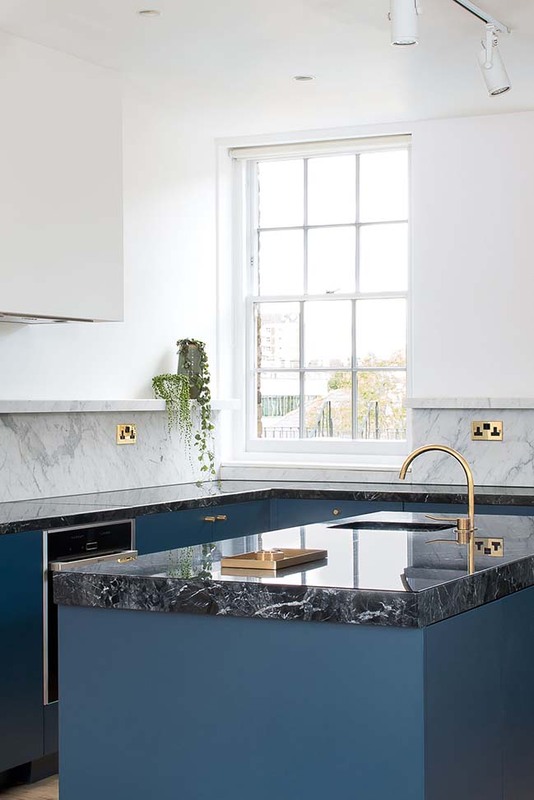 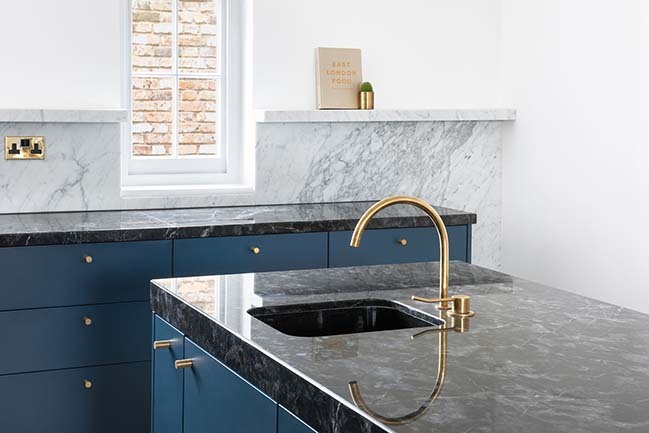 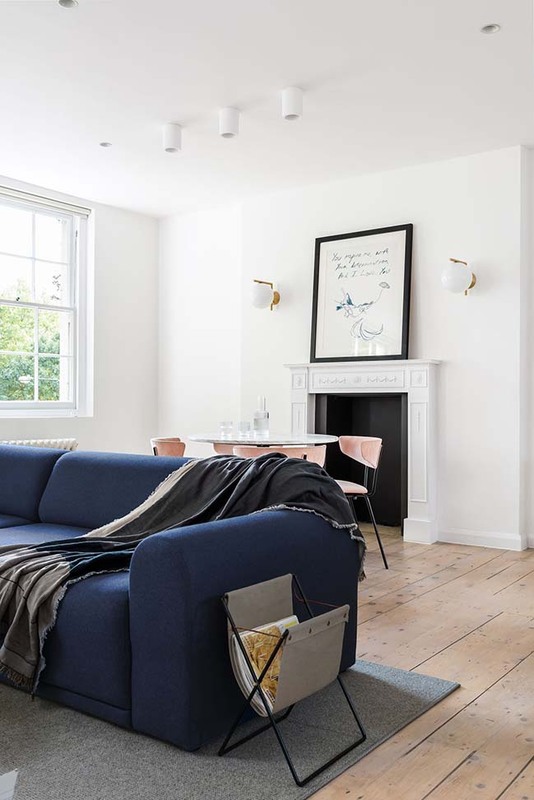 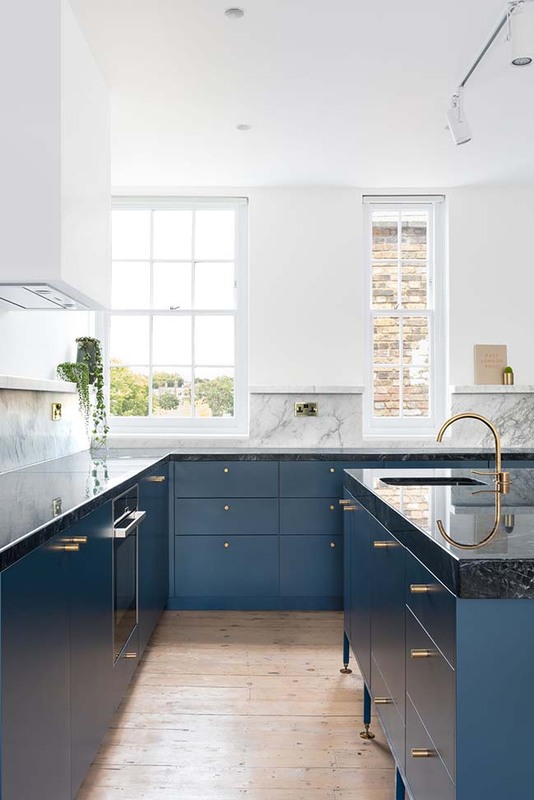 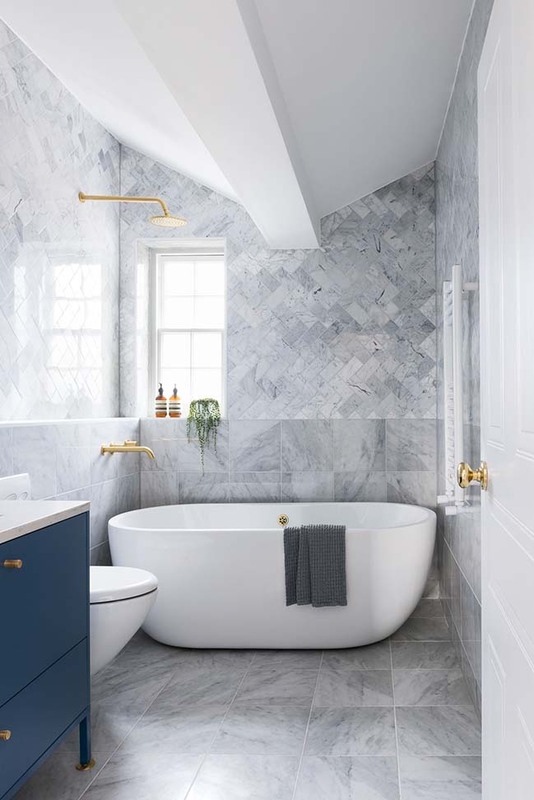 Navy-blue joinery with white and dark marble is modern, elegant and accented with brass, and the existing floorboards and fireplace mouldings retain the townhouse’s classic English character. 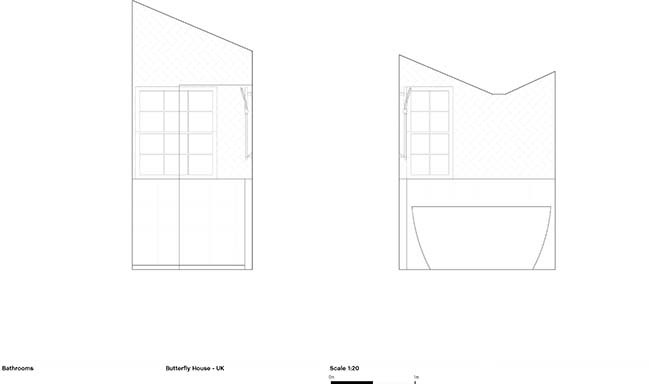 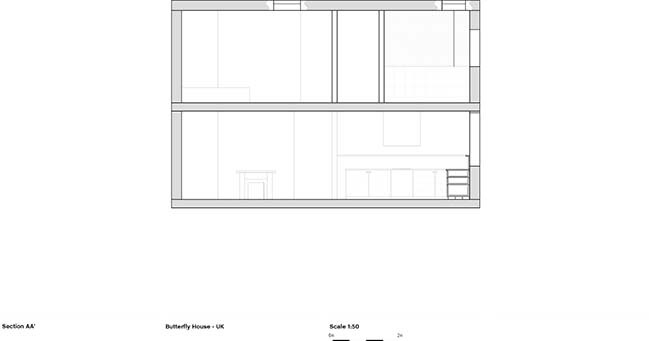 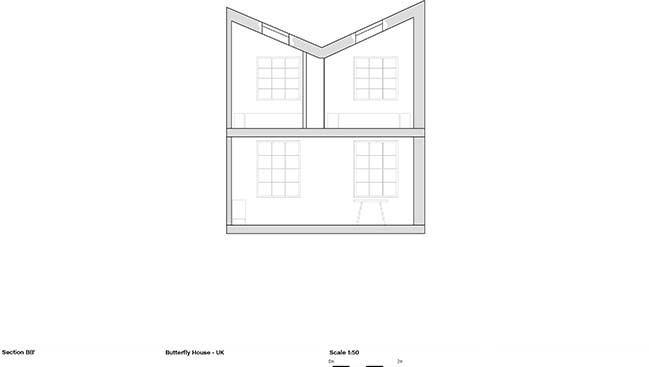 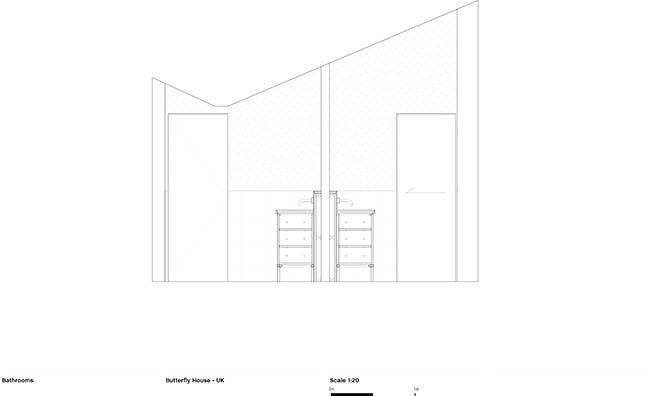 In the bedrooms and bathrooms, we accentuated the distinctive butterfly roof, for which the house is named, and installed new skylights to increase natural light. 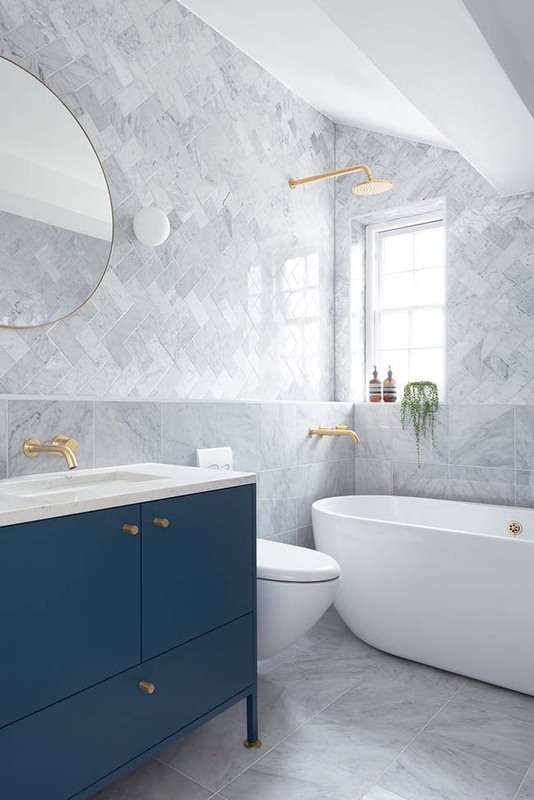 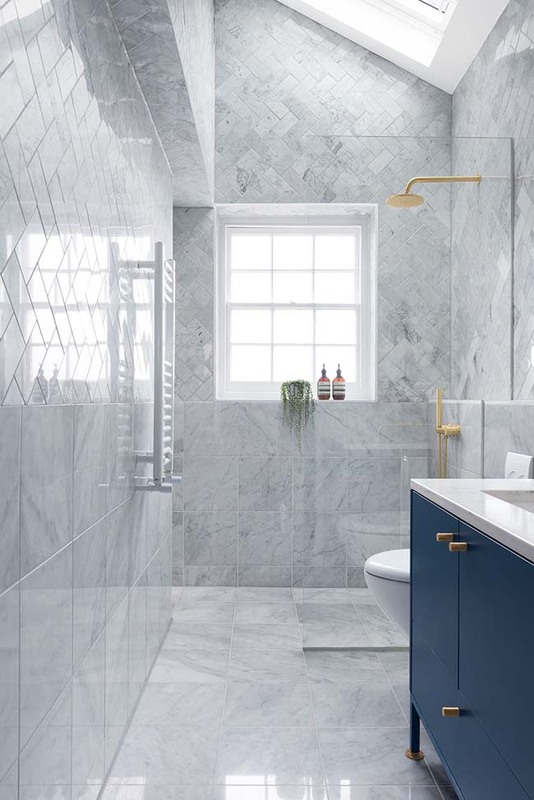 The bathrooms, like the kitchen, have navy-blue freestanding units designed by Biasol. 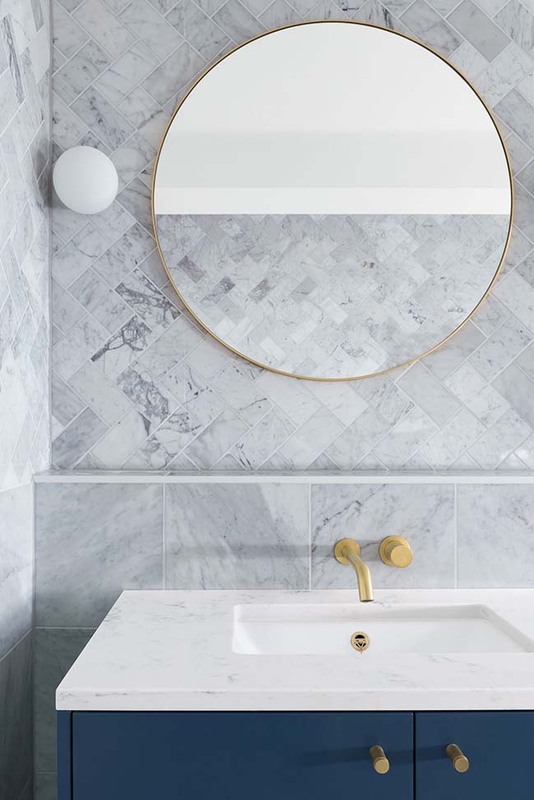 Herringbone marble tiles clad the walls and evoke traditional English style, while brass tapware is imported from Australia. 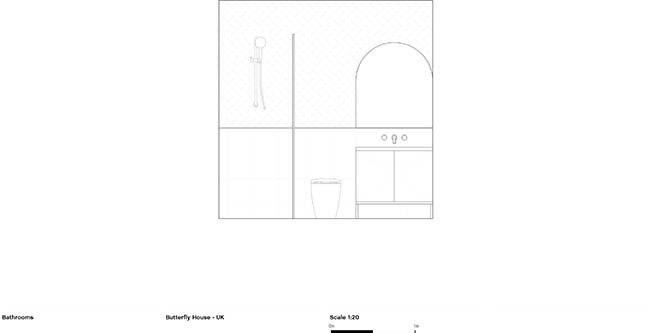 Butterfly House, like the butterfly, now basks in the sun. 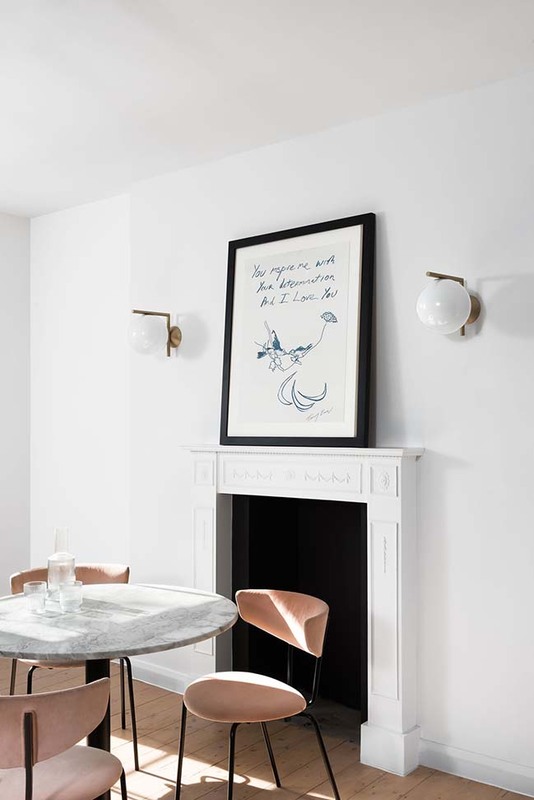 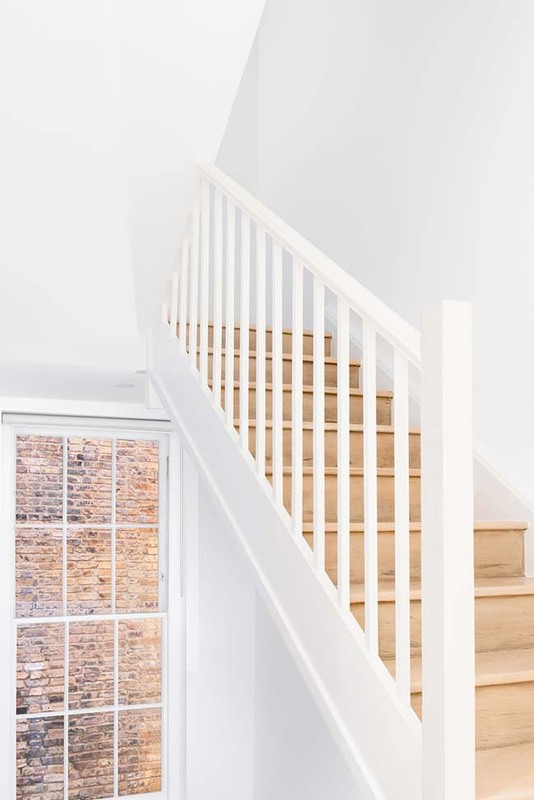 By maximising natural light, our design for this formerly dark East London townhouse has captured the energy sunlight can bring to a space and thereby enhancing family relationships and wellbeing.